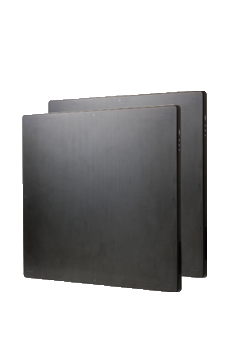 ViVIX-S is a Vieworks�s flat panel digital radiography system with the large field coverage area of 17�x17� designed for general radiographic application using its unique image processing system and proprietary flat panel detector. The active 9 Mega-pixels of ViVIX-S system ensure superior image quality for today�s high standards in precise diagnosis thorough Vieworks�s digital radiographic flat panel detector technology. ViVIX-S can offer sequential radiographic images at 4 frames per second in a binning mode, which is a very unique feature used for pre-positioning of the patient prior to an actual examination. Image can be simply acquired and transmitted to the DICOM server through Gigabit Ethernet in just a few seconds. ViVIX-S Portable, Wired is a Vieworks�s flat panel digital radiography system with 14�x17� coverage area for general radiographic applications for human and veterinary anatomy, using its unique image processing system and proprietary flat panel detector. The detector is the same size as film and CR cassette and therefore it is an excellent solution for upgrading conventional X-ray systems still currently working on X-ray film and CR basis to digital radiography systems. Image can be simply acquired and transmitted to the DICOM server through Gigabit Ethernet in just a few seconds. A handle is attachable and removable depending on the needs of your application. 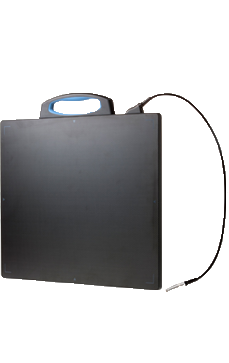 ViVIX-S Portable, Wireless is a Vieworks�s flat panel digital radiography system with 14�x17� coverage area for general radiographic applications using its unique image processing system and proprietary flat panel detector. 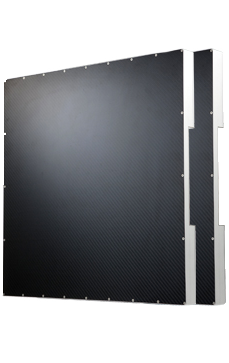 The detector is the same size as film and CR cassettes and therefore it is a perfect solution for upgrading conventional X-ray systems still currently working on X-ray film and CR basis to digital radiography systems. Image can be simply acquired and transmitted to the DICOM server through Wi-Fi in seconds.